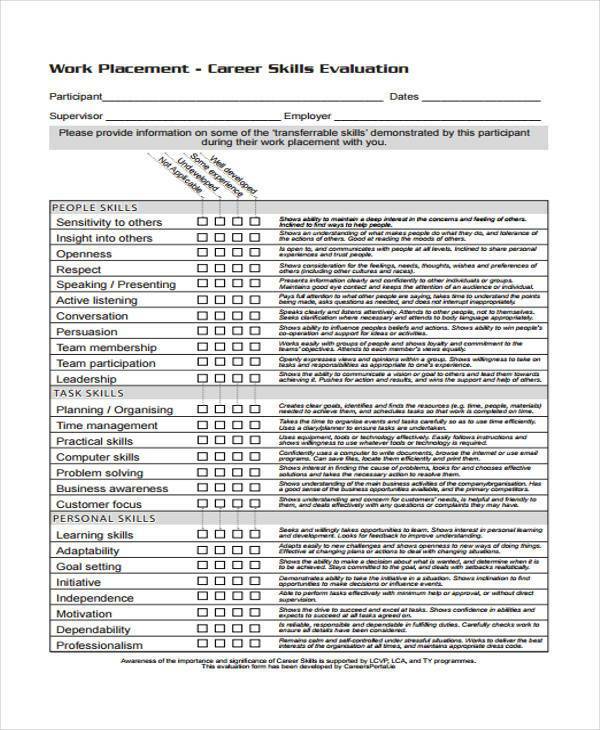 Evaluations in the workplace are useful tools for employers and companies to assess and calibrate the way an employee performs his job and work responsibilities. Most companies perform varied types of evaluations depending on a specific factor or aspect that they want to focus on. 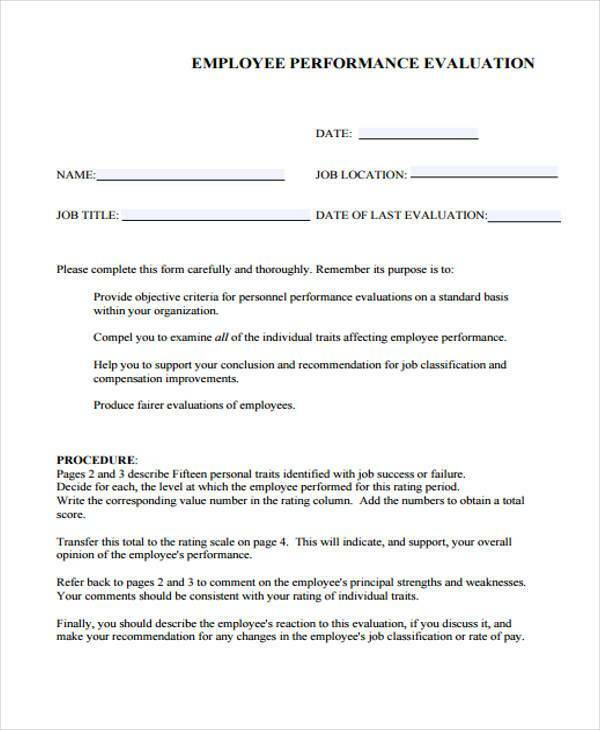 Conducting an evaluation among employees requires the need for an Evaluation Form in order for managers and supervisors to provide accurate and objective findings. 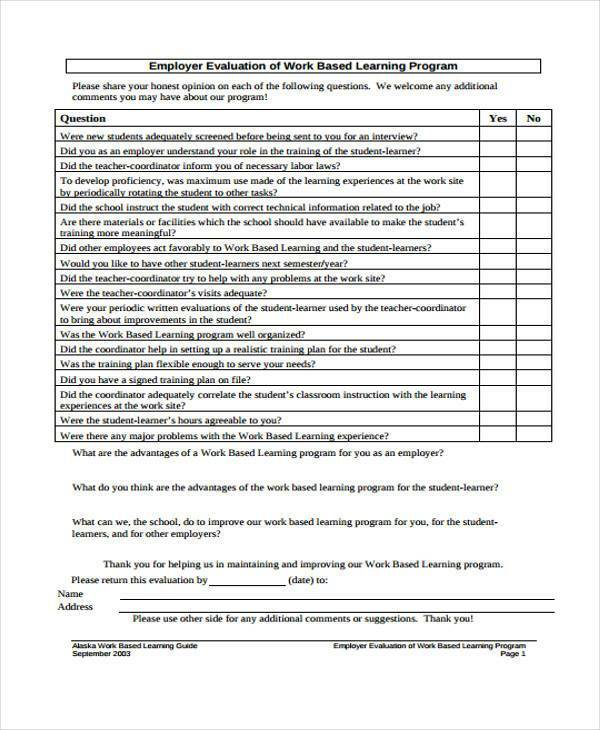 We provide a wide array of sample Evaluation Forms that you can easily download to help you manage your assessments and to help you save time. Evaluations can sometimes be tricky. They require a lot of planning, careful observations, and proper documentation. Through careful analysis of the data that has been gathered in an evaluation, supervisors will be able to provide proper support toward employees and motivate them to do better at work. 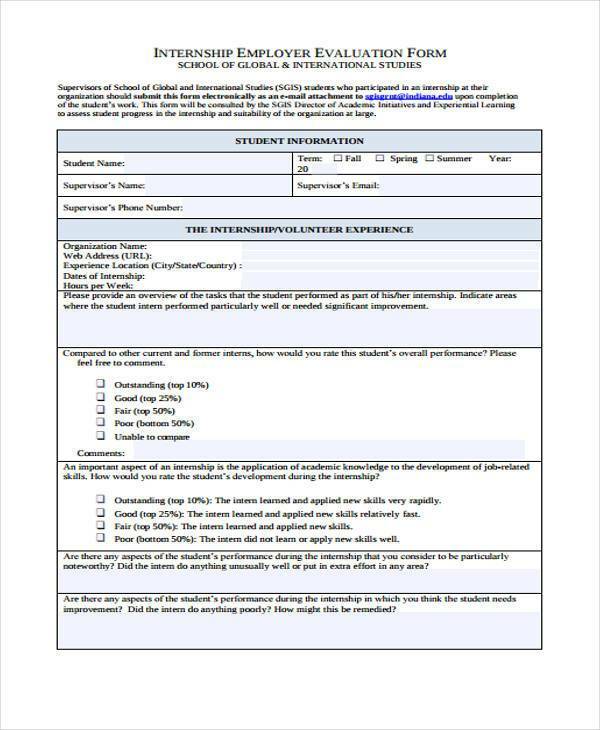 Interview Evaluation Forms and other types of Evaluation Forms are available at your disposal to help you cut cost and save time. What Are the Advantages of Conducting Periodic Evaluations at Work? Aids in the Appraisal Process. It is not an uncommon thing for most companies to use the results of an Employee Evaluation as a basis for promotion. Through the results of the evaluation, employers or supervisors are able to determine if the employee deserves to be moved up or if he is capable enough to handle bigger responsibilities at work. An Employee Evaluation is also another way to gauge if an employee deserves an increase in compensation or if he merits a bonus. Serves as a Window for Growth and Development. 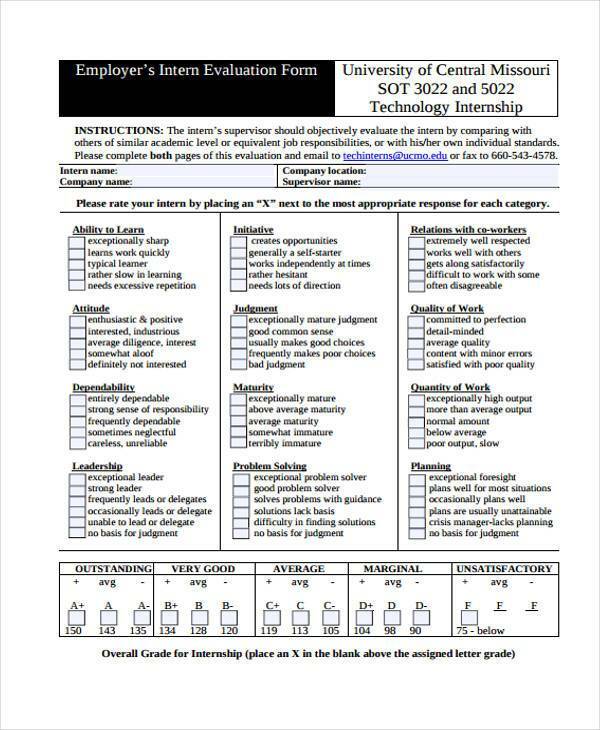 Periodic Employee Evaluations allow employers or supervisors to properly assess an employee’s strengths through his achievements, skills, and abilities. This is also a great way to determine their weaknesses and will allow you to provide training or developmental activities to help them improve. Enhances Communication between Employees and Management. 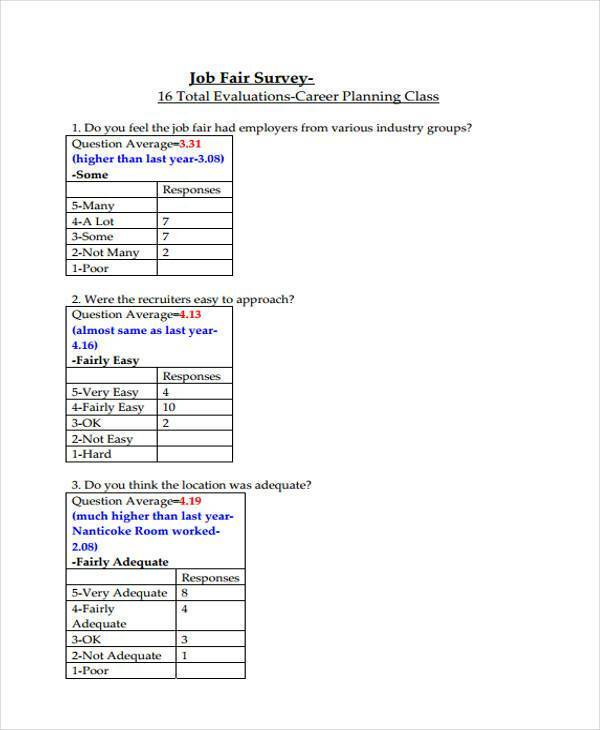 Employee Evaluations also give supervisors and employers a chance to communicate with an employee and together work on ways to increase productivity in the workplace. Evaluations are a great way to communicate with employees where other channels can be difficult or intimidating. Evaluations promote feedback, praise, and constructive criticism in the workplace and are a good opportunity for both an employer and an employee to develop and grow. How Do You Conduct an Effective and Unbiased Evaluation? Set a Goal. To maintain objectivity and accuracy in conducting Employee Performance Evaluations, an evaluator must first establish set standards and goals that will serve as their basis of comparison and evaluation. Remain Organized. Keep track of an employee’s work performance such as his achievements or any disciplinary action that was given to the employee for misconduct. 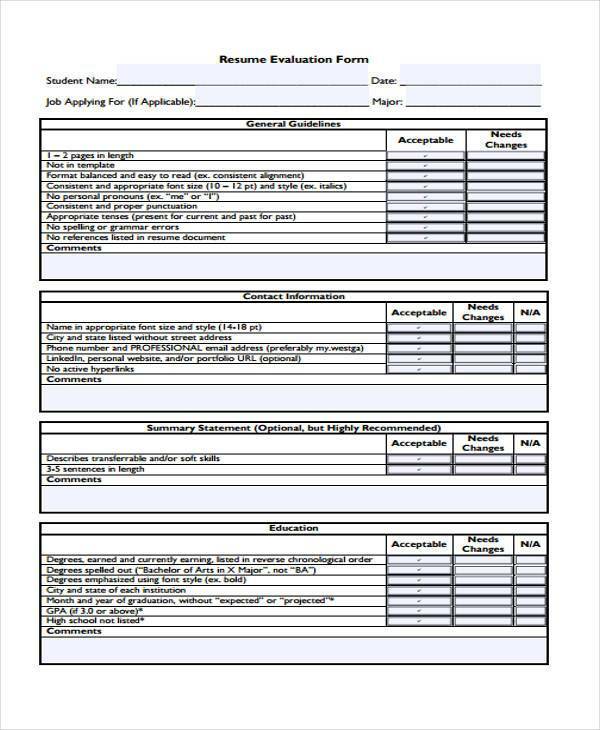 Using Evaluation Forms – such as Interview Evaluation Forms, Employer Evaluation Forms, or a Job Performance Evaluation Form – will enable you to properly document and organize the data you have gathered in order to produce proper feedback and steps for improvement. Provide Feedback. Evaluations always require feedback, without which an evaluation would become useless. Supervisors should take the time to assess and organize the results of their evaluation and then set aside time to provide feedback of the results to the employee.